Does this conform with the code? Should it? 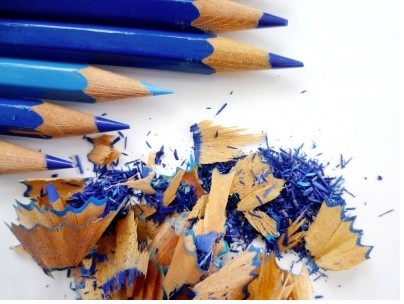 A strictly regulated Press fighting for survival against fake news, unregulated social media and subsidised broadcasters - or a lawless bunch of ne'er-do-wells intent on marking their own homework? 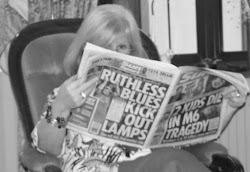 Five years ago some of us became daytime television addicts as Sir Brian Leveson, Robert Jay and a parade of celebrities, politicians, police officers, journalists and newspaper proprietors took us on a giddy tour of how the Press worked - or didn't work. It wasn't my trade's finest hour, but it was gripping to watch. The inquiry set up in the aftermath of the phone-hacking scandal led to the birth of a new Press regulator - the Independent Press Standards Organisation - and legislation providing for the establishment of alternatives should any come forward and wish to seek state approval. So far, only one has - Impress, which does not enjoy the support of any major publication. The arguments about self-regulation and independence and state interference have been aired endlessly - most recently last month as a public consultation on the dreaded Section 40 drew to a close. There is little point in going through them again here. The issue is, for now, out of everyone but the Government's hands. What can be influenced, however, is how the Press regulates itself. Hacked Off and others unhappy about the way newspapers behave may scoff at Ipso and dismiss it as a sham regulator, but it is what we have. It is the regulator that most newspapers accept and it is there to be used. And this week people who think the Press should be brought into line have a golden opportunity. For they can not only complain when the rules are broken, they can help to rewrite the rule book. Should there be tougher rules to stop the spread of hate? 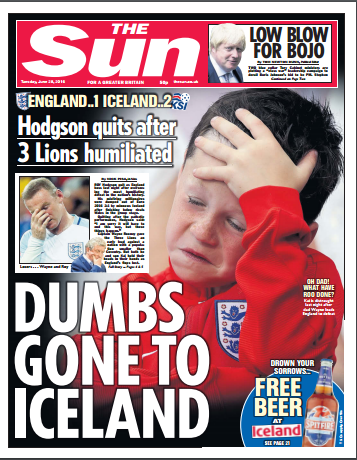 Is it fair for a tearful boy to have his face on the front of our best-selling paper just because his dad is famous? If Wayne Rooney doesn't want to antagonise papers, should others be able to complain on his behalf or is that the way of censorship, of preventing people reading material of interest just because you don't like it? This is the moment not to mutter in your beer, but to make your voice heard. For the Editors' Code, which governs the way newspapers behave, the rules they are supposed to abide and by which they -- and complaints against them - are judged, is being reviewed and members of the public have until Friday, March 3, to say if and how they think it should be changed. Paul Dacre, the Mail editor who oversaw the existing version, has gone; it's the start of a new era. Outside of that process, people have another weapon if they think the Press is misbehaving: they can complain. And complain. And complain. But why should we have to keep complaining? Why can't papers just behave responsibly? A teenager knows he shouldn't pinch money from his mum's purse, but when he needs another 50p for his bus fare and she's not there to ask, where's the harm? He'll pay it back when he can. And then it's a pound, and a fiver. Until she clamps down on him. So it is with papers. They will do what they can get away with, whether it's stretching the rules to tell people what they really need to know or just to sell papers. But the rules are there. And if we, the public, aren't prepared to enforce them, we shouldn't be surprised if they get flouted more often and more outrageously. Papers that have signed up to be regulated by Ipso have entered into a contract; they cannot just walk away if the regulator is nasty to them. Some are already regretting having joined the club, and critics who think the watchdog is toothless might be surprised to know how seriously papers take the complaints procedure. the fact that complaints about articles like Katie Hopkins's egregious "cockroaches" column are being rejected. Regarding prominence of corrections, Ipso has now made 15 adjudications requiring papers to signpost their failings on the front page - two in a week in the case of the Express - and it has the power to determine the wording and positioning of such corrections. As Niall Duffy, the director of external affairs says, it's a question of picking the right moment to "go nuclear". But we can be pretty sure that it will happen: there has been a marked increase in rigour. That tougher line can be traced to the assiduous complaining of InFacts during the referendum campaign and since and by Miqdaad Versi of the Muslim Council over the past three months. Complaining works - and is encouraged by Duffy and Moses. We, the readers, just need to be prepared to make the effort to do it. And the more we do, the more Ipso will be able to identify any patterns of offending and take further action. As to the cockroaches, Clause 12 of the editors' code deals only with discrimination against individuals - and only the individual offended can submit a complaint. Ipso received a record number of complaints about that article; had one been from a refugee who had reached safety after their ordeal in the Med, it might have been upheld. If this sounds bonkers to you, you are not alone. If this clause of the code were changed to allow groups to claim discrimination and for uninterested parties to be allowed to make complaints on behalf of others, the outcome might have been different. Newspapers do a great deal that is good and rather too much that is bad. A revised code might tilt the balance further towards the former. Or it may not. But be sure of one thing: Impress is not a magic bullet that will cure a recidivist Press of its bad habits. Forget the fact that it has no one of import to oversee, the key point is that its draft code of conduct is virtually identical to that used by Ipso. So the same rules would apply, the same defences would be offered - and succeed. The question of arbitration and state involvement (yes, even at a clown arm's length and with as many locks as you can think of) are part of a different argument. This is not about some dreamland that is never going to become a reality, it is about making the best use of the system that is in place. *Submissions for the consultation on the Editors’ Code can be sent via the editorscode.org.uk website, by email to codereview2017@gmail.com or by post to Editors’ Code of Practice Committee, c/o News Media Association, 292 Vauxhall Bridge Road, London SW1V 1AE. It's great to encourage readers to 'make sure your voice is heard,' but all the evidence points to the likelihood that the press won't really listen. The problem with press excesses has never been the Editor's Code itself - it's a fairly sound set of guidelines as is - it's the fact that papers ignore it whenever they feel like it. Why? Because they can. Why can they? Because there isn't anyone to stop them, and that hasn't changed. Hacked Off et al point to the fact that IPSO is a barely-altered reboot of the PCC because this is true. The only regulatory body in the land that ostensibly has the power to punish newspapers for ignoring their code of conduct is funded by those very same newspapers. Disagree here, but generally a big fan - keep up the good work! What Ray said - every word.